Katowice, Poland – GBTI Games today is proud to announce the release of Sleepy Sheepie AR, their new game title developed for iOS and Android devices. Sleepy Sheepie AR is a single tap game with a touch of augmented reality. 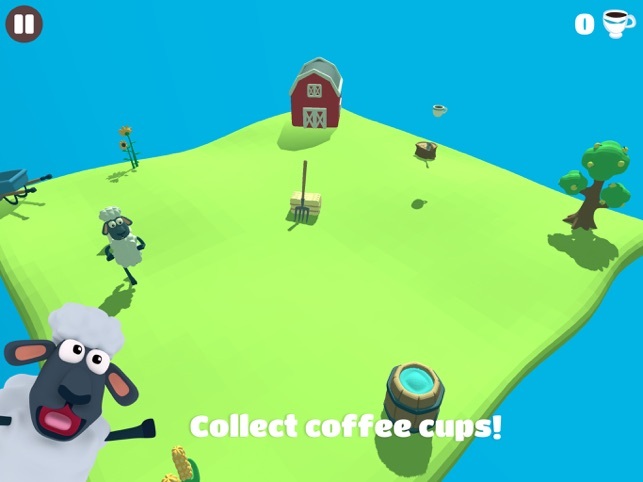 Instead of playing on your mobile device screen place the AR game plane on your lawn, driveway, carpet etc and help poor Sleepy Sheepie get as many coffees as possible. The hero of the game is a very special kind of sheep. Just an ordinary grass eater by day, but a genius programmer by night. If only there were enough cups of coffee to last the whole night! Sleepy Sheepie AR is as simple as old-school arcade games were. Just load the game and start playing right away! No need for long instructions and exhausting tutorials. Simply tap once to jump over the fence, pillow or to grab a coffee! Challenge your friends! Beat your friends’ high scores! AR feature allows you to put the game plane on your table, floor, etc and move around it to fully appreciate the perks of augmented reality. Get closer to your Sheepie and try to find an “easter egg” content. Sleepy Sheepie AR is Free (With In-App Purchases) and available worldwide through the App Store in the Games category. There is also an Android version available on Google Play. Follow GBTI Games on Facebook and Instagram to keep up with all the latest news. GBTI Games is a new game studio that combines love of 3D modelling and game development to bring you fun and quirky mobile games. Their team consists of designers and developers that have created many successful award-winning games for other studios before joining GBTI Games. All Material and Software (C) Copyright 2013 GBTI S.A. All Rights Reserved. Apple, the Apple logo, iPhone, iPod and iPad are registered trademarks of Apple Inc. in the U.S. and/or other countries. Other trademarks and registered trademarks may be the property of their respective owners. 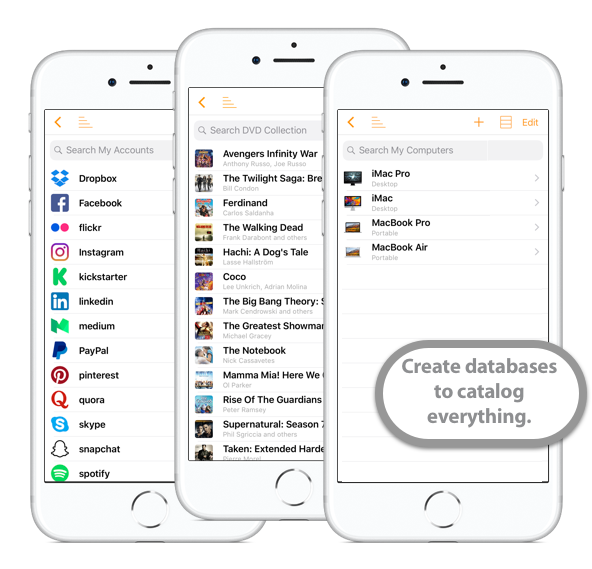 Padua, Italy – Apimac today announces iDatabase 7 for iOS, the new release of the popular app that makes it easy for everyone to create databases, inventories, collections and item lists. While the previous version was optimized only for iPhone, the new version becomes universal and can be used indifferently on iPhone and iPad. On iPad it now benefits from the unique features offered by a larger screen showing the list of records and the detail of the records on the same screen. This feature that can increase productivity is now also present on the Plus and Max versions of the iPhone. iDatabase is the best that can be for those who want to store and quickly search for any information for daily work or leisure. iDatabase is now an universal app, this means that with a single purchase you will have the version optimized for iPhone and iPad. With iDatabase, you have a large number of different fields to enter your information. Store text, images, links, passwords, phone numbers and arithmetic operations, it’s so easily that it is amazing. You can manage your CD collection, store the passwords of your accounts, create an address book containing contact information for your customers or friends, and much more. iDatabase allows you to carry everything with you, in your iPhone or iPad. If you looking for a specific contact, a book, your account details or a link stored in one of your database, type what you are looking for in the search field and let iDatabase do the work for you. iDatabase can help you, even if you prefer to see the data by scrolling through. In a flash, you can sort the data by any field, and finally, if you share the device with your colleagues or family, or travel around the world and want to keep your personal information away from prying eyes, you can set a PIN to prevent unauthorised access. 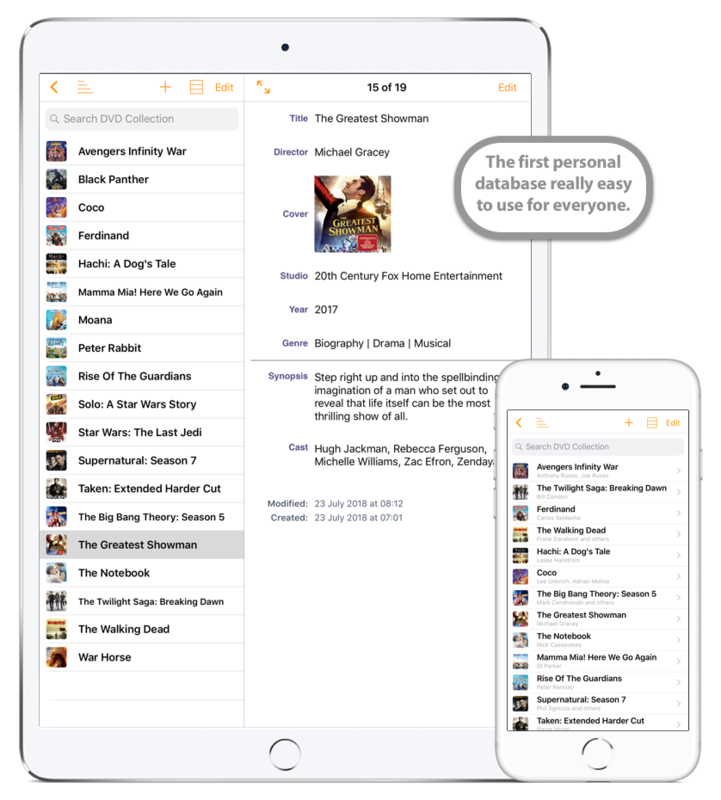 iDatabase 7.1 for iOS retails at a price of $3.99 USD (or equivalent in different currencies) and is available worldwide through the App Store in Productivity category. Apimac(TM) is an app company dedicated to create Mac and iOS only software. People at Apimac aim to put in your hands software which you can use in a way you do things every day. Copyright 2018 Apimac. All Rights Reserved. Apple, the Apple logo, iOS and macOS are registered trademarks of Apple Inc. in the U.S. and other countries. Other trademarks and registered trademarks may be the property of their respective owners. Dusseldorf, Germany – Independent software developer, Timo Josten today is proud to announce the release of Dropshare 5, a brand-new major upgrade to his popular secure file sharing tool developed exclusively for macOS. Dropshare is a menu bar application for Drag & Drop upload files, screenshots and even directories to hosting providers like Amazon S3, Rackspace Cloud Files, Google Drive, Backblaze B2, your own server and also Dropshare Cloud. The major update now also adds support for popular file sharing service Dropbox. Dropshare 5 for macOS introduces a brand new user interface made for macOS Mojave, which supports both Light and Dark display modes very well. With new optimisations, users are now able to upload files to Dropbox, Amazon S3 and Dropshare Cloud of virtually any size. The completely reworked settings offer many new options to set up Dropshare for everyones very-own workflow, including a range of new community-made Landing Page designs to choose from. 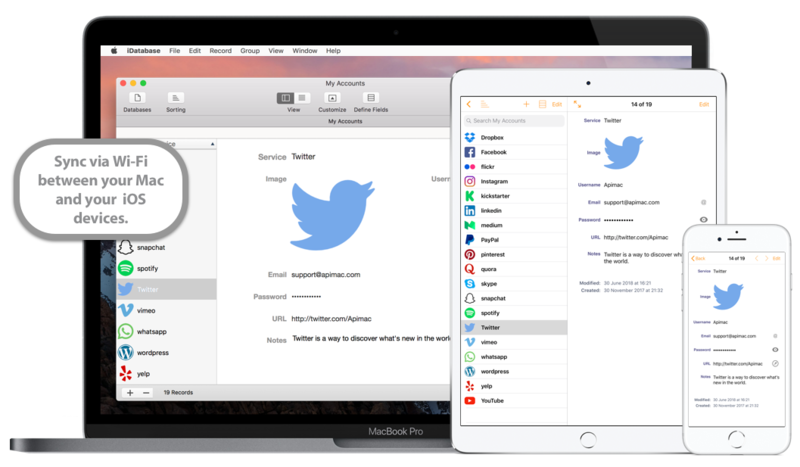 The popular included service Dropshare Sync, which helped users to keep track of their upload history across their macOS and iOS devices, has been retired and replaced by a more sophisticated and seamless iCloud synchronisation which works out of the box. The brand new update is available today. Existing customers can upgrade for a reduced price, and subscribers of Setapp will receive the new update free of charge. Dropshare is being developed by Timo Josten, an independent software developer. Dropshare Cloud is operated by chaos.cloud UG (haftungsbeschrankt), founded in 2016 by Timo Josten and Tim Buchwaldt. Copyright (C) 2018 Timo Josten. All Rights Reserved. Apple, the Apple logo and Mac OS X platforms are trademarks of Apple Inc. in the U.S. and/or other countries. Other trademarks and registered trademarks may be the property of their respective owners. Schaumburg, Illinois – Meadows Publishing Solutions, the developers of the popular DesignMerge Pro and DesignMerge Catalog variable data software packages, will be demonstrating their full line of workflow automation solutions in booth #551 at the PRINT 18 show in Chicago, from September 30 – October 2, 2018. The Meadows DesignMerge Pro and DesignMerge Catalog software products are utilized by hundreds of companies worldwide to provide a direct link between Adobe InDesign documents and virtually any external database. DesignMerge software is utilized extensively in the variable data printing, catalog, retail, and financial publication markets. For variable data printing automation, Meadows will be demonstrating the latest integration of their DesignMerge Pro software with Enfocus Switch, a workflow design and automation solution that streamlines the creation of custom VDP workflows. The DesignMerge Pro integration with Enfocus Switch provides variable data processing services for any Switch flow, allowing users to design and implement fully automated variable data workflows capable of processing thousands of data records in a totally automated fashion. In addition to their Enfocus Switch integration, Meadows will also be demonstrating a cloud-based version of their DesignMerge Server and DesignMerge Queue software. This system allows complex VDP templates, prepared with DesignMerge software for Adobe InDesign, to be processed by web-based applications using the DesignMerge API. Fully personalized, online previews can be generated very quickly, and the system can also support complete variable data production output. The software is designed primarily for integration with web-to-print or print automation systems. Meadows Publishing Solutions is a software development and integration company specializing in commercial and custom plug-in modules for Adobe InDesign and Adobe Acrobat as well as other extensible technologies. Meadows has developed a number of popular software packages for the database publishing and variable data printing markets, including their award-winning products AutoPrice and DesignMerge. Founded in 1991, Meadows is based just outside of Chicago in Schaumburg, Illinois. All Material and Software (C) Copyright 2018 Meadows Publishing Solutions. All Rights Reserved. Apple, the Apple logo, macOS and Macintosh are registered trademarks of Apple Inc. in the U.S. and/or other countries. Other trademarks and registered trademarks may be the property of their respective owners. Odessa, Ukraine – CS Odessa is proud to announce that ConceptDraw users can soar to new heights of productivity with Mojave compatibility. ConceptDraw OFICE v5 is already well known to Mac users as the premier cross-platform solution for business diagramming, mind-mapping, and project management. The release date of latest macOS operating system, Mojave was announced at Apple’s big annual iPhone event. Apple confirmed the “coming this fall” release and announced its official drop date: September 24, 2018. CS Odessa’s developers’ team still committed to supporting their customers despite the ever-changing technological landscape. The entire suite of ConceptDraw OFFICE v5 products, including DIAGRAM v12, MINDMAP v10, and PROJECT v9, are ready to run stably on macOS 10.14, delivering the full range of functionality and integration users have come to expect from the ConceptDraw software. For users of the latest versions of ConceptDraw products to pick up the Mojave compatible updates, it is enough to run the update function in ConceptDraw STORE. It is that simple to get the latest and freshest of the ConceptDraw products. Plus, at the same time it, is possible to pick up all of the newest add-ons that are available in ConceptDraw Solutions. For users of the previous versions of ConceptDraw products, CS Odessa provides the opportunity to purchase the latest versions at a competitive upgrade cost. Founded in 1993, Computer Systems Odessa supplies cross-platform productivity tools and graphic technologies to professional and corporate users around the world. With headquarter in Odessa, Ukraine, CS Odessa sells products internationally through resellers in over 150 countries, both directly and through resellers. The ConceptDraw line of products has won numerous awards and is used by hundreds of thousands, including Fortune 500 companies, U.S. Federal Government agencies, small and medium businesses, and students and educators around the globe. ConceptDraw is a registered trademark, and ConceptDraw Office, ConceptDraw Solution Park, ConceptDraw PRO, ConceptDraw MINDMAP, ConceptDraw PROJECT, and ConceptDraw STORE are trademarks of CS Odessa. All other trademarks and registered trademarks are the properties of their respective owners.